jazzoLOG: How Much Hope Do You Swallow Per Day? Dietary supplements are unregulated, some are unsafe—and Americans can’t get enough of them." Mr. Specter's credentials are listed at the bottom---in case you want to check his ingredients first. One day last September, as Britney Spears was about to board a flight to Los Angeles from London, a rectangular blue bottle fell out of her purse. She quickly stuffed it back in, but not before the paparazzi recorded the event. Neither Spears nor her spokesman was willing to comment on the contents of the bottle, but the next morning London’s Daily Express published a page of pictures under the headline “exclusive: pop princess spotted at airport with pot of slimming tablets.” Spears was apparently carrying Zantrex-3, one of the most popular weight-loss supplements currently sold in the United States. The pill, which retails at about fifty dollars for a month’s supply, contains a huge dose of caffeine, some green tea, and three common South American herbs that also act as stimulants. It hit the U.S. market last March and has had a success that would be hard to overstate. Millions of bottles have been sold, and during the Christmas season it was displayed in the windows of the nation’s largest chain of vitamin shops, G.N.C. (It is so highly sought after that many of the stores keep it in locked cabinets.) Zantrex-3 is also sold at CVS, Rite Aid, Wal-Mart, and other chains, and over the telephone and on the Internet. If you type “Zantrex” into Google, more than a hundred thousand citations will appear. At any moment, there are scores of people auctioning the stuff on eBay. Perhaps the most interesting element of Zantrex-3’s success story, however, is that it is far from unique. There are hundreds of similar products on the market today, and they are bought by millions of Americans. And though Zantrex’s manufacturer makes some heady claims (“the most advanced weight control compound period”), so do the people who sell Stacker 2 and Anorex (whose publicity assures us that the “genetic link” to obesity means that repeated diet failure is “not your fault”), along with those who sell Carb Eliminator and Fat Eliminator. Almost all of these compounds suggest that they can help people lose weight and regain lost vigor, and often without diet, exercise, or any other effort. The diet-pill business may be the most visible segment of the vitamin-, mineral-, and herbal-supplement industry, but it is by no means the largest. Thousands of different tablets, elixirs, potions, and pills are sold in the United States, and remarkably little is known about most of them. That doesn’t deter consumers. Since 1994, when Congress passed a law that deregulated the supplement industry and opened it to a flood of new products, the use of largely unproved herbal remedies—from blueberry extract for impaired vision to saw palmetto for the treatment of enlarged prostates and echinacea to prevent colds—has increased as rapidly as the use of any commonly prescribed drug. Since that legislation, the Dietary Supplement Health and Education Act, became law, companies have been able to say nearly anything they want about the potential health benefits of what they sell. As long as they don’t blatantly lie or claim to have a cure for a specific disease, such as cancer, diabetes, or aids, they can assert—without providing evidence—that a product is designed to support a healthy heart (CardiAll, for example), protect cells from damage (Liverite), or improve the function of a compromised immune system (Resist). There are almost no standards that regulate how the pills are made, and they receive almost no scrutiny once they are, so consumers never truly know what they are getting. Companies are not required to prove that products are effective, or even safe, before they are put on the market. Still, there is more to the growing reliance on supplements than the lapses of a single law: Americans long ago wearied of taking doctors’ orders, and, increasingly, they are skeptical about the motives of big pharmaceutical companies. People want to feel in control of their own health. Supplements, with their “natural” connotations and cultivated image of self-reliance, let them do that. There is even a word to describe all the things—other than plain food—that people consume in the pursuit of health: nutraceutical. Nutraceuticals are found everywhere today, in foods fortified with “extra” vitamins, in sports drinks, in “enriched” water, and now even in candy. Six out of ten adults in the United States take one or more supplements each day. Often, these include multivitamins, which are frequently recommended by physicians, but a staggering number of amino acids, weight-loss cures, and herbal tonics are also swallowed every day, all in the belief that they will improve health, fend off disease, or make up for dietary and behavioral habits that have placed obesity and indolence among the leading health problems facing the United States. Last year, Americans spent nineteen billion dollars on dietary supplements—nearly five times as much as they did just a decade ago. And they spent that money on everything from Vitamin C to garlic (the uses of which vary, with benefits that are never clear), from kava (which the F.D.A. says may cause severe liver damage but which is still widely available in health-food stores as a remedy for stress) to comfrey (an herb of dubious value commonly used to quell irritated stomachs), and even ephedra, which the federal government only recently decided to ban, despite reports over the last eight years implicating it in scores of deaths and hundreds of strokes, seizures, and other severe maladies. “For many people, this whole thing is about much more than taking their vitamins,” Loren D. Israelsen, the executive director of the Utah Natural Products Alliance, and a principal architect of the 1994 legislation, told me not long ago. “This is really a belief system, almost a religion. Americans believe they have the right to address their health problems in the way that seems most useful to them. Often, that means supplements. When the public senses that the government is trying to limit its access to this kind of thing, it always reacts with remarkable anger—people are even willing to shoulder a rifle over it. They are ready to believe anything if it brings them a little hope.” Frequently, such products come veiled in a cloak of science. Ads for Zantrex-3, for example, claim that its “superior power is validated by a direct comparison of published medical studies . . . scientific fact . . . irrefutable clinical data.” The people who sell the pills on the telephone don’t rely on science at all, however, when they tell callers that the capsules in those blue bottles could change their lives. Herbs have been ingested regularly, in every conceivable combination, for thousands of years, and many are clearly beneficial. Vitamins and minerals are essential for human health: calcium supplements have prevented perhaps millions of cases of osteoporosis; folic acid helps prevent neural-tube defects; insufficient amounts of Vitamin B12 can lead to dementia. Simply eating citrus fruit, and the Vitamin C it contains, was enough to vanquish scurvy, which in the mid-eighteenth century killed more British sailors than the wars that Britain fought. The way that nutrients work in foods has come to be properly understood only in the past hundred years. Because of the lack of specific knowledge, the preceding era had been one of open and unapologetic quackery. 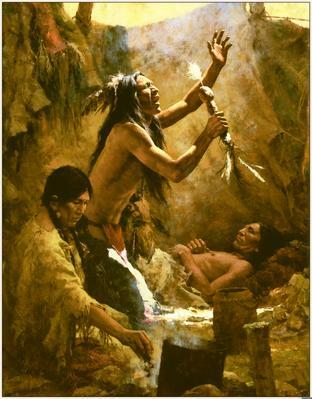 Throughout the eighteenth and nineteenth centuries, patent-medicine men roamed the United States. For every illness imaginable, they promised wondrous products and magical cures. The rapid growth of patent medicines was largely a result of two unrelated events, and they eerily foreshadowed the 1994 Dietary Supplement Act and the rise of the Internet as a commercial tool. In 1793, Congress passed patent legislation that permitted manufacturers to protect their formulas (without requiring that they even work). Around the same time, the number of newspapers published in the United States began to increase dramatically. By the beginning of the twentieth century, the patent-medicine business accounted for more newspaper advertising than any other kind of product. Many manufacturers became rich; some became famous. Lydia E. Pinkham’s Vegetable Compound, advertised as “A Positive Cure” for “all those Painful Complaints and Weaknesses so common to our best female population,” made Pinkham’s face as recognizable then as Martha Stewart’s is today. In 1914, officials of the American Medical Association decided to analyze Pinkham’s compound. It turned out to be twenty per cent pure alcohol and eighty per cent common vegetable extracts. Most patent medicines had similar ingredients. Sometimes they were laced with cocaine, caffeine, opium, or even morphine. It’s not surprising that they provided a few hours’ worth of relief. There was no restriction on the vast armamentarium of remedies on the market until 1906, when the Pure Food and Drug Act was passed, mainly as a result of the revelations in Upton Sinclair’s book “The Jungle.” The act permitted the Bureau of Chemistry, which preceded the Food and Drug Administration, to insure that labels contained no false or misleading advertising. For a while, at least, snake-oil salesmen went the way of the Conestoga wagon. Since then, the pendulum has swung between unregulated anarchy and restrictions that outrage many Americans. It has usually taken a disaster to persuade Congress to adopt strict regulations. Sulfanilamide, a drug prescribed to treat streptococcal infections, was used safely and effectively for years in tablet and powder form. Most children can’t swallow pills, though, and in June, 1937, researchers at one company found that the drug would dissolve in diethylene glycol; they tested the mixture for flavor, appearance, and fragrance—but not for toxicity—and then shipped it all over the country. They overlooked one important characteristic of the solution: diethylene glycol, normally used as an antifreeze, is a deadly poison. Within weeks, scores of children were dead. The victims experienced severe abdominal pain, nausea, vomiting, stupor, and convulsions. In a letter to President Franklin D. Roosevelt, one woman described the death of her child: “Even the memory of her is mixed with sorrow for we can see her little body tossing to and fro and hear that little voice screaming with pain and it seems as though it would drive me insane.” The next year, after a hundred and thirty-seven deaths, Congress passed the Food, Drug and Cosmetic Act, which finally gave the F.D.A. the authority it needed to regulate such products. By the middle of the nineteen-seventies, as the complex relationship between diet and health became more fully understood, the distinctions between foods, drugs, and supplements began to blur. First, with a major report issued in 1977 by the Senate Select Committee on Nutrition and Human Needs, and then with studies by the National Academy of Sciences and other research groups, the government started telling Americans to alter their diets if they wanted to have long and healthy lives. Advice about ways to reduce the risk of heart disease, diabetes, and many cancers and other chronic illnesses became routine: eat less salt and fat and add fibre and whole grains; eat more fruits and vegetables and watch the calories. Food companies were eager to promote many of their products as medically beneficial. It was illegal, however, to suggest that there was a relationship between the ingredients in a commercial food and the treatment or prevention of a disease. Then, in 1984, the Kellogg Company launched a campaign, in conjunction with the National Cancer Institute, in which All-Bran cereal was used to illustrate how a low-fat, high-fibre diet might reduce the risk for certain types of cancer. These days, it is almost impossible to pass by a supermarket shelf and not encounter such claims; but All-Bran was the first case in which a manufacturer issued a statement that was interpreted widely as “Eat this product because it will help prevent cancer.” It led to the era of product labels, and completely changed the way Americans think about not only foods but dietary supplements as well. Since then, the English language has been stretched to its limits in the attempt to link products to health benefits. Even claims that are true may be irrelevant. Vitamin A, for example, is important for good vision—as supplements for sale in any health-food store will tell you. Insufficient consumption of Vitamin A causes hundreds of thousands of cases of blindness around the world each year, but not in the United States; here people don’t have vision problems arising from a lack of Vitamin A. Although statements advertising Vitamin A for good vision may, like many others, be legally permissible, they are meaningless. “The laws allow manufacturers to make fine legalistic claims,” Paul M. Coates, the director of the Office of Dietary Supplements at the National Institutes of Health, told me. “What we now have is an entire cottage industry of creative linguistics dedicated solely to selling these products.” Instead of mentioning a disease (which in most cases would be illegal without F.D.A. approval), companies make claims that a food can affect the structure or function of the body. Such claims can appear on any food, no matter how unhealthy it is. You cannot assert that a product “reduces” cholesterol, but you can certainly say that it “maintains healthy cholesterol levels.” You cannot state that the herb echinacea cures anything, since it has never been shown to do that. But there is no prohibition on stating that it “has natural antibiotic actions” and is considered “an excellent herb for infections of all kinds.” Gingko biloba has been recommended to Alzheimer’s patients because it “supports memory function.” Does it? Since research is not required before a supplement is released, there are not nearly enough data to know. In a report published in the Journal of the American Medical Association, scientists compared the effects of echinacea with a placebo in treating colds. Echinacea is one of the most commonly used cold remedies in the United States. But the study, of more than four hundred children over a four-month period, showed that a placebo worked just as well, and that children treated with echinacea were more likely to develop a rash than those who took nothing. Studies like that are rare, since they cost money that manufacturers are not required to spend. But they are at least as likely to disprove benefits as to confirm them. Ginseng has long been promoted as an energy booster, for example, yet the military, in studies of possible energy enhancements for troops, has found it worthless. Still, in my local health-food store not long ago I saw more than a dozen supplements advertising the “fact” that ginseng improves energy. One recent Harris poll found that most people believe that if a supplement is on the market it must have been approved by some government agency (not true); that manufacturers are prohibited from making claims for their products unless they have provided data to back those claims up (no such laws exist); and that companies are required to include warnings about potential risks and side effects (they aren’t). “When something goes wrong, though, most people expect government health officials to find a solution,” David A. Kessler told me. Kessler, who is the dean of the School of Medicine at the University of California at San Francisco, was the F.D.A. commissioner when Congress passed the Dietary Supplement Act, which he adamantly opposed. “This is really the classic American ambivalence, and it has always been part of our nature,” he said. “The view of most people is simple: I want access to everything and I want it now.” The Federal Trade Commission—not the F.D.A.—regulates supplement advertising. But the F.T.C. is principally concerned with commerce, not science: it focusses on the content of the labels, not the content of the pills. Although since 1994 the agency has sued more than a hundred diet-pill companies, in 2002 it found that at least half of all weight-loss ads contained false or misleading statements. Despite its vigilance, the agency has an impossible job; for each success, ten new companies seem to appear. Despite the risks, the appeal of diet pills is not hard to understand. Each year, obesity kills millions of Americans and costs billions of dollars. Data from the National Health and Nutrition Examination Survey show that almost sixty-five per cent of the adult population is overweight. The prevalence of obesity among children is spreading, and if current trends continue more than forty per cent of Americans will be clinically obese within five years. The burden on the health system, not to mention the weakened quality of life that obesity causes, will be enormous. Who could argue with that? I looked for the name of the company at the bottom of the ad: Zoller Laboratories. When I called the 800 number printed on the advertisement, the woman who answered told me that the company was based in Salt Lake City, but I couldn’t find it listed in any of the databases that I normally use for research. Then I noticed, in an article about Britney Spears’s “weight problems,” that the chief scientist at Zoller was quoted by name. I dialled the 800 number again and asked to speak with him. He answered the phone, but was startled when I asked if I could fly out and talk with him. He promised to call me back. He never did, but eventually the public-relations representative for a company called Basic Research invited me to visit Basic’s headquarters, in Salt Lake City. He told me that Basic was the exclusive distributor of Zantrex-3. Zoller Laboratories does exist, but there are no offices and no labs. It’s a company created by the marketing team at Basic because its name sounds scientific. Basic puts out scores of products, which are marketed under the names of nearly a dozen companies—a practice that, according to Dennis Gay, the president and C.E.O., is intended to confuse competitors and “protect our brands in the Wild West atmosphere that exists today in the supplement industry.” With Zantrex-3, Basic has seized cleverly on the fears about ephedra—marketing the pills as the “high-tech” substitute. But the company has many similar products; the cynically named Anorex, for example, is “the first weight-control compound designed to mitigate the profound effect that variations in the human genetic code have on the storage, use, and disposition of body fat,” and Relacore is the “most significant weight-control advancement in more than a decade.” (“Excess tummy flab is not your fault.”) There is also Sövage Breast Augmentation Serum, a topically applied bust cream (“Yes They Are real breasts,” one highly illustrative ad says), and Sövage Lip Plumper, to increase the fullness of one’s lips. The company also markets tummy gels that promise “ripped abs” (Nutrasport Cutting Gel), and a variety of tonics to help one think, relax, or sleep more soundly. The scientific method is a powerful tool, but it has its limits. . . . Medical science in America is a unique combination of economic and political factors, which fuse together almost religiously to promote synthesized, highly active chemicals. Mowrey came up with the components of Zantrex-3 the way he comes up with the elements of most of the company’s products: by surfing the Internet. “I never understand why my competitors don’t spend more time just looking at the information on the Web,” he told me. “It’s all out there,” he said, showing me how he uses public databases—such as those kept by the National Institutes of Health—to see what’s new in fields like weight control, memory, and aging. The company attaches a tiny brochure to the neck of each bottle which says that Zantrex-3 caused “546 per cent more weight loss” than America’s No. 1 ephedrine-based diet pill—“without diet and exercise.” It goes on, “Published clinical studies don’t lie.’’ I asked Mowrey to show me the data he used to arrive at that figure. He acknowledged that the figure was based not on a direct comparison of the two diet products but on extrapolations of results from unrelated studies. One of the studies, which Mowrey describes as a “groundbreaking” paper, published in 2001 by two Danish researchers in the British Journal of Human Nutrition and Dietetics, evaluated the effectiveness of a mixture of three South American herbs—now used in Zantrex-3—in aiding weight loss by making people feel too full to eat. The study followed forty-six subjects for forty-five days. Half were given a placebo and the others received the herbal mix. At the end of the study, the herbal group had lost eleven pounds, on average, whereas the other group had lost less than one. Seven participants were followed for another year, during which they neither gained nor lost more weight. Mowrey argues that Americans ought to have the chance to make decisions about the value of supplements for themselves. “There are a lot of pharmaceuticals derived from plants,” he said. “Lots of times, the safety issues are not important. And you have to remember what you have to do if you develop a drug today. Say you do a small study of maybe a hundred and fifty people and you find that as a result of the study eighty-five of the women who take this who would otherwise get breast cancer don’t. The F.D.A. demands that the company spend several billion dollars and fifteen years of research answering every little question that comes along. Every nitpicky little question. Now, how many people have you killed before you introduce this drug to the market? The notion that herbal combinations are “natural” and therefore can’t cause harm serves as a first principle for many people who take supplements as a solution to their medical problems. Even the most seemingly benign substances, however, can turn out to have significant and wholly unexpected effects. Perhaps the best example is grapefruit juice, which can disrupt the work of a series of enzymes that are found in the small intestine and which serve to break down drugs before they are absorbed into the bloodstream. Taking medicine with grapefruit juice permits it to enter the bloodstream in dangerously high concentrations, which keeps it from doing its job and can intensify many side effects. Many common pharmaceuticals—including antidepressants, antihistamines, and cholesterol medications—are not metabolized properly if they are taken with grapefruit juice. Some herbs do work, of course, yet the absence of effective manufacturing standards in the United States means that even then consumers can’t rely on commercial formulas. Black cohosh has been used for centuries to treat a variety of common ailments, including, most recently, menstrual and menopausal problems. In Europe, it is considered a drug—and many studies have shown that it can have value. Women often take some form of the root instead of using hormone-replacement therapy. Still, in the U.S. the herbal product that you buy tomorrow may be different biologically from the same product purchased next month. I have a friend who, at the onset of menopause, began to use a supplement that is composed principally of black cohosh. For several months, her symptoms disappeared. One day, however, she bought a new bottle, and within a week her symptoms had returned so severely that she called her doctor from a car on the West Side Highway. “I demanded a prescription for hormone-replacement therapy,” she told me, even though she considers it dangerous. Her doctor guessed correctly that she had just bought a new bottle of the supplement, and advised her to switch to a different product containing black cohosh—Remifemin—which is made, by Shaper & Brunner, in Germany, where it is regulated as a drug. With herbal products made in the U.S., however, there is simply no way to know what you are getting in each bottle. In 2002, researchers at the New York Botanical Garden published a study in the journal Economic Botany in which they reported on using DNA-fingerprinting techniques to identify several species of black cohosh. They found great variation in the herbal mixtures that were turned into products for the marketplace. It’s hard to make a botanical product exactly the same way every time. Without rules, there is almost no incentive to try. Since the standards for making diet pills are set largely by the people who sell them, I decided it would be useful to see how Zantrex-3 was made. “You go look at the factory,” Dennis Gay told me. “If you think we are a sleazy operation, remember: we could do it for half the price.” The next day, I drove to Cornerstone Nutritional Labs, in Farmington, about twenty minutes north of Salt Lake City on I-15. Cornerstone, an independent company that produces most of the Zantrex-3 sold in the U.S., pumped out 1.7 billion capsules, tablets, and pills last year, nearly two hundred thousand an hour for every hour of every day. I was greeted warmly by Brent Davis, Cornerstone’s director of nutraceutical sales, who offered to show me around the plant. We slipped on disposable booties, gowns, and hairnets, and removed the metal from our pockets, so as not to contaminate the materials. Our first stop was the receiving area at the plant’s loading dock, where dozens of fifty-kilogram drums of raw herbs—green tea, yerba maté, and pangea among them—were lined up and stacked nearly to the ceiling, forty feet high. As soon as the herbs arrive at the factory, they are sampled for color, consistency, density, and purity. The raw materials are then taken to a weighing room, where they are collected by men in moon suits and sampled again. Most of the machines sit in clean rooms adjacent to the factory floor, cordoned off by walls of double-paned glass. After the herbs are collected, they are mixed in a blender. This is not as easy as it might appear; natural organic compounds are far harder to combine than synthetically made drugs. A product like Vitamin E comes in tiny balls, and most herbs come in flakes. The same herb can vary in consistency, in provenance, and even, at times, in species. Some need water; others are ruined by the slightest exposure to moisture. Some supplements require a minute amount of an ingredient—less than a hundred and fifty micrograms, for instance—to be mixed evenly into more than a hundred cubic feet of powder. And each supplement must be made in such a way that every capsule in every bottle is identical in quality and strength. “It’s a hell of a job to do,” said Michael Meade, the director of operations for Basic Research, who was also on the tour. “There’s a recipe, and once it’s worked out it’s fine. But it takes time to get it right, and many companies fail. The idea that you just throw it all into the soup and wait is ridiculous.” He said that Cornerstone was unusually rigorous in its testing, and that Basic was pleased by the consistency of the results. Like other manufacturers in the secretive and, for the most part, privately owned supplement industry, Cornerstone declines to talk about its revenues or even name its clients. (Basic Research, too, reveals almost nothing about its earnings, expenditures, plans, or goals.) But Zantrex-3 is obviously a big part of Cornerstone’s current business. The factory’s largest blender, which was given over completely to the production of Zantrex-3 when I was there, can turn five thousand kilograms of raw powder into the equivalent of fifteen million pills a day. As soon as the newly homogenized herbal material leaves the blender, it is pressed by another machine into blue capsules, which are dumped into giant drums—thirty-five thousand capsules in each drum. They are then collected in a hopper and fed into bottles. Cornerstone’s computer system monitors every gram as it passes down the line, and supervisors keep the floors spotless. Once the bottles are filled, they are capped and a tamper-proof seal is melted on. Labels are applied by the same machine. Finally, one of the brochures advertising Zantrex-3’s “amazing power” is fastened by hand to the neck of every bottle on the assembly line. From there, the bottles are packed into boxes that are loaded into cartons, which are shrink-wrapped and ready to ship. If Basic Research were willing to cut a (totally legal) corner or two, there is no doubt that it could produce those pills for far less money. When I left Cornerstone, I drove to a nearby Wal-Mart, which, along with such stores as Circuit City and Bed Bath & Beyond, anchors a mall in a suburb of Salt Lake City called Murray. Wal-Mart is the biggest of what Gay refers to as the “big boxes,” the giant chains that can insure a product’s success simply by stocking it. By summer, all four thousand Wal-Mart stores will carry Zantrex-3; many of them will feature displays with the tango-dancing couple that I had noticed on the subway in New York. The Murray Wal-Mart has an extensive section devoted to supplements of all kinds: bottles, packets, and cartons promising the usual array of unproved benefits, and promoting the health of the eyes, the skeletal system, the urinary tract, the brain. A tiny asterisk appeared on every product—including Zantrex-3—that suggested a connection between its contents and better health: “This statement has not been evaluated by the Food and Drug Administration. This product is not intended to diagnose, treat, cure or prevent any disease.” If a product whose label promotes it as contributing to “wellness” is not intended to cure, treat, diagnose, or even prevent any health problem, what, one has to wonder, is it supposed to do? But there they all are, dozens of brands: Stacker 3, with chitosan, and Starch Away, which “blocks calories from bread, pasta, pastries and other foods” (“Dieting has never been easier,” the bottle says). Zantrex was for sale, along with ZN-3, a new product that advertises itself on the label as being like Zantrex. It has the same ingredients and costs half as much, but, since only the names of ingredients are listed, not the amounts, what comes in each capsule is anybody’s guess. Dennis Gay is a fifty-seven-year-old, pear-shaped man who has been waging an unsuccessful war on his weight for years. The first time I met with him, he was dressed in shades of green: olive pants, pale, pine-colored shirt, and loden tie. He had a short, neatly trimmed graying beard. At that meeting, Gay was accompanied by a man who was described as a “consultant” but who obviously played a significant role in the company, because he did most of the talking. (Nearly every time I asked Gay a question, he deferred to his colleague.) The man spoke fast, and had a New York accent. He didn’t give me his name, although I asked him for it three times. I wondered whether Basic Research believed that new laws requiring more regulation and stricter standards would be bad for the industry. “They are simply not needed,” the man who wouldn’t identify himself blurted out. “The F.D.A. has the authority to act today if it wants to remove something from the market. But it always prefers to use the media.” He went on to say that although he assumed that ephedra would be banned there were really no significant problems with the herb, which Basic Research continues to sell, and which its salespeople told me on the telephone was the “best way by far to lose that weight fast.” He said that Zantrex-3 increased “metabolism without increasing the heart rate or blood pressure”—which, as it happens, is almost never the case. After the interview, I learned that the man’s name was Mitchell K. Friedlander, and that he had made false claims about diet pills, and in the nineteen-eighties was prohibited by the U.S. Postal Service from selling them through the mail. When I spoke to Gay a second time, Friedlander was not there. I said it was hard to ignore the fact that his most trusted adviser—Gay described him to me as a “marketing genius”—had been found to have made false claims about diet pills. Gay told me that he had hired a private investigator to “check Mitch out” and that he was comfortable with the report. “Mitch is valuable,” Gay said. “He doesn’t desire to become a part of the company, and I don’t think we want him to be.” I asked if working with a man with Friedlander’s past bothered him, since he was trying to establish Basic Research as one of the more reputable companies in an extremely irregular business. This is Gay’s bottom line, and that of the industry as well. “I have to get into my lecture,” he said, and walked over to a whiteboard in the office. “Let’s say I’ve got ninety-nine people that have a fatal form of cancer. The way the F.D.A. regulates drugs now, a study would typically look like this.” He drew three big circles and wrote the number thirty-three in each of them. “A third will get nothing, and they are going to die. Then another thirty-three we are going to give a placebo. The last third get the active ingredient they are testing as a new drug. There is a demonstrable placebo effect in most clinical studies, although the idea that placebo could save even eleven patients with fatal cancer is ludicrous. But Gay and Basic make their money by selling the dream of wellness, not the reality. If their products could really swell breasts, banish wrinkles, and erase fat, Basic would probably become the most successful company in American history. After all, is Zantrex-3 any different from Lydia Pinkham’s miraculous concoctions? This year, Congress will consider a bill that would modify the 1994 law so that thousands of unregulated botanical substances would be treated more like drugs than like foods. Supplement manufacturers—and their customers—are preparing to fight any such change with every resource they can muster. The bill has been advertised as an assault on the First Amendment. The alarm has sounded across the Internet, and congressional offices have been besieged with protests. Walk into any health-food store and you’ll see leaflets warning that the government is about to deny you the right to choose your own fate. Michael Specter has been a staff writer for The New Yorker since 1998. Previously a roving correspondent for The New York Times based in Rome, he has covered a wide range of topics spanning the subjects of history, politics, and health. In 1995 he was appointed chief of the Times' Moscow bureau, and while in Russia he covered the war in Chechnya, the 1996 Russian presidential elections, and the declining state of Russian health care. Mr. Specter came to the Times from the Washington Post, where he covered local news before becoming the paper's national science reporter, and finally, New York bureau chief. Last year Mr. Specter received the Global Health Council's Annual Excellence in Media Award for his piece about AIDS, "India's Plague." The American Association for the Advancement of Science awarded him the 2002 Science Journalism Award for his article "Rethinking the Brain," which explored the scientific basis of how we learn. Mr. Specter received a B.A. from Vassar College. and self love are a whole lot cheaper and have the same impact on weight loss as all of the pills you can buy. I have a client who takes Ephedra sometimes up to 60 tabs a day which can be a lethal dose. They have just started taking it off the shelves only after many poeple have died including a famous baseball player . I told my client that everytime she took one of the pills it was like she was making a suicidal gesture. because she knows it is deadly and she continues to do it. She told me that what I said had such an impact on her she can't take the pills any more. You make me think, Swan, of a certain ambiguity involved in taking a pill...especially if we could be doing something to solve the problem instead of taking the pill. For example, do I prefer to take the medication rather than doing the exercise and cutting out the fat in my diet? Do I think even that I can continue to loaf around and eat and drink the fat because I take the pill? How many times do I eat a hot fudge sundae as a "reward" after jogging? I think what's interesting about the article is the doubt factor about doctors and pharmaceutical companies that people have now, and how we feel we must bone up on our conditions on the Internet. Of course our phobias and unresolved conflicts get fanned right into the deck and possibly aggravate our conditions. Add to all this the soaring costs of medical bills and insurance, and you have the perfect conditions for real madness in our pursuit of "wellness." 2 Feb 2004 @ 13:10 by swan : Right on Richard. We have been so programed to believe there is something "not right" with us since we were children. Our belief system is fed by what this or that company has to sell to alleviate the things that are "not right" and the cycle of what you call "real madness" has a life of its own. If on the other hand we were told from the beginning that every thing was right with us and that belief system was fed, no one would need pills. If I get a cold and tell everyone " I am sick", I get sicker. If I think I am fat and every time I look in the mirror I say to myself" I am so fat", guess what...I get fatter. I am glad people are starting to have doubt. When more people start listening to thier inner physician and paying attention to what thier bodies are telling them the big pharmaceutical companies won't be big any longer. a doctor that you can trust, but it essential to know your body and what it is telling you. Having had bad experiences that almost cost me my life because of a medical doctors ignorance (more than once), I also will fire my doctor if I lose trust in them. Too many people trust whatever the doctor says. I have now trained my doctor to trust MY intuition. I think she is wonderful now but it took a long time to get to this place and a number of disagreements. I have heard that in China you pay your doctor constantly, like a monthly wage---UNLESS you get sick. Has anyone else ever heard that---and would that make a good system? Yes, I´ve heard of that. You pay the doctor TO STAY HEALTHY, and if you fall sick, the Chinese think that it´s because the doctor hasn´t done his job well. We have a saying in Spanish "Esto no lo arregla ni el medico chino", which means, this situation is desperate, this cannot be resolved, not even with the chinese doctor! For it to work, the patients have to be taught the principles that Swan evokes above. Then "the doctor" is the placebo factor who enlivens the patients faith in themselves (the best medicine!). I respect conventional medicine, however, in urgent cases.